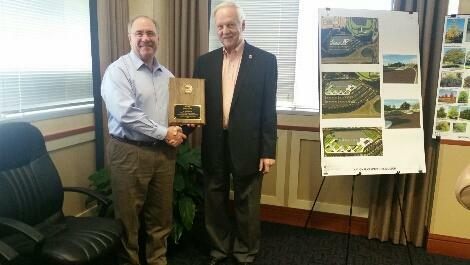 At the NCMF Board of Directors March 2018 meeting, Mr. Al Gray was recognized for his Benefactor level support of the NCMF. Al was the first senior level enlisted advisor to the NSA Director. For over a decade he has served on the NCMF membership committee, and in recent years took over as the committee's chairman. 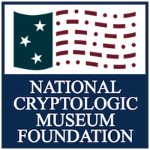 He serves as a liaison to a wide variety of military organizations - encouraging membership and participation in the Foundation and the National Cryptologic Museum (NCM). In his spare time he attends conferences and trade shows where he demonstrates the NCM Enigma and the Kryha Cipher Machine to promote the museum. Benefactors have contributed at least $10,000 to the Foundation and are recognized on our website and at the NCM. The Foundation is sincerely grateful for Al's dedication and support. 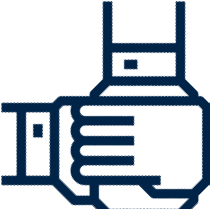 To learn more about the Foundation's Benefactors and Patrons - visit the Benefactor and Patron Page.